Sunrisers Hyderabad will lock horns against Delhi Capitals in the second game of Sunday’s doubleheader. Both teams have played against each other earlier in the tournament, where Hyderabad defeated Delhi without breaking any sweat. 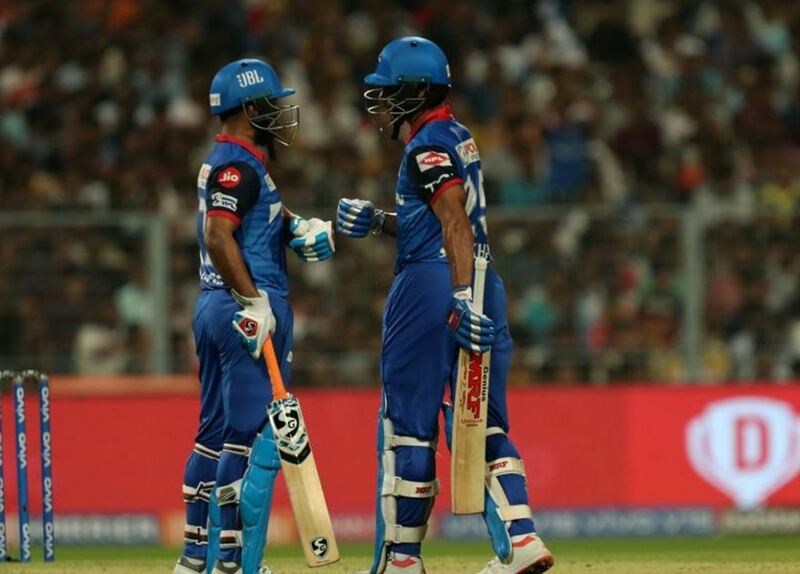 But things will be different when these two teams will collide at Rajiv Gandhi International Stadium as Hyderabad witnessed a lapse in the momentum while Delhi has won two of their last games and leapfrogged them in the Points Table. 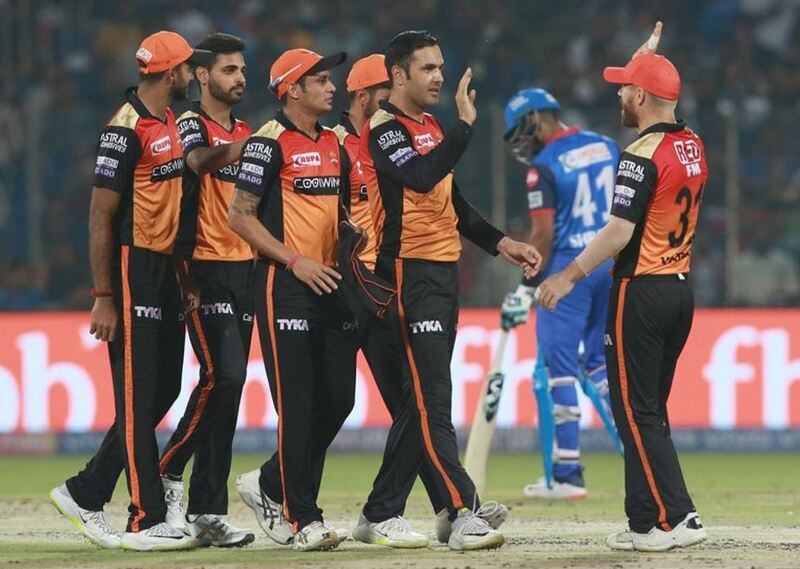 SRH started their tournament on a high note but currently, they have lost two back-to-back matches. They last played against Kings XI Punjab and lost the game by six wickets. David Warner was the only standout performer from that game as he remained unbeaten at 70 runs after 20 overs. Bowlers tried their best to defend the total of 150 but KL Rahul’s class outclassed them by a margin. Also Read: Who will be the X factor for SRH in IPL 2019? There is still uncertainty over Kane Williamson’s fitness and Bhuvneshwar Kumar can still lead the team. Jonny Bairstow is not doing well since the last few games but can retain his position. In all likelihood, SRH will name the same playing XI. Probable XI: David Warner, Jonny Bairstow (WK), Vijay Shankar, Manish Pandey, Yusuf Pathan, Deepak Hooda, Mohammad Nabi, Rashid Khan, Bhuvneshwar Kumar (C), Sandeep Sharma, Siddarth Kaul. DC is coming from a sensational win against Kolkata Knight Riders in their own backyard. 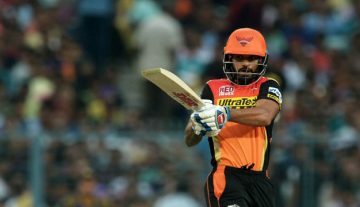 Shikhar Dhawan has come back at his usual best with a match-winning unbeaten 97 against KKR and team will expect him to repeat his heroics against his former franchise. Also Read: Who will be the X factor for DC in IPL 2019? Prithvi Shaw is not scoring runs since his 99 runs against Kolkata but Delhi can give him another go. If Hyderabad’s pitch assists spinners, Sandeep Lamichhane will be inserted in place of Keemo Paul. Rest of the team will remain the same. Probable XI: Prithvi Shaw, Shikhar Dhawan, Shreyas Iyer (C), Rishabh Pant (WK), Colin Ingram, Chris Morris, Axar Patel, Rahul Tewatia, Kagiso Rabada, Sandeep Lamichhane, Ishant Sharma.